Match ends, Olympiakos 5, F91 Dudelange 1. Second Half ends, Olympiakos 5, F91 Dudelange 1. Corner, Olympiakos. Conceded by Landry Bonnefoi. Attempt saved. Daniel Podence (Olympiakos) right footed shot from outside the box is saved in the top centre of the goal. Assisted by Ioannis Fetfatzidis. Danel Sinani (F91 Dudelange) wins a free kick in the defensive half. Attempt blocked. Ahmed Hassan (Olympiakos) left footed shot from the centre of the box is blocked. Assisted by Ioannis Fetfatzidis. Attempt missed. Pape Abou Cissé (Olympiakos) header from the centre of the box is high and wide to the right. Assisted by Konstantinos Tsimikas with a cross following a corner. Attempt saved. Lazaros Christodoulopoulos (Olympiakos) right footed shot from the right side of the box is saved in the bottom right corner. Assisted by Ahmed Hassan. Attempt blocked. Nicolas Perez (F91 Dudelange) right footed shot from outside the box is blocked. Assisted by Danel Sinani. Corner, Olympiakos. Conceded by Leon Jensen. Attempt blocked. Mohamed Camara (Olympiakos) right footed shot from outside the box is blocked. Substitution, F91 Dudelange. Patrick Stumpf replaces Dominik Stolz. Mohamed Camara (Olympiakos) wins a free kick in the defensive half. Foul by Nicolas Perez (F91 Dudelange). Lazaros Christodoulopoulos (Olympiakos) wins a free kick in the defensive half. Foul by Leon Jensen (F91 Dudelange). Foul by Mohamed Camara (Olympiakos). Clement Couturier (F91 Dudelange) wins a free kick in the defensive half. Lazaros Christodoulopoulos (Olympiakos) wins a free kick on the right wing. Ioannis Fetfatzidis (Olympiakos) wins a free kick in the attacking half. Foul by Clement Couturier (F91 Dudelange). Substitution, F91 Dudelange. Nicolas Perez replaces David Turpel. Goal! Olympiakos 5, F91 Dudelange 1. Ahmed Hassan (Olympiakos) right footed shot from very close range to the centre of the goal. Assisted by Ioannis Fetfatzidis. Attempt blocked. Ioannis Fetfatzidis (Olympiakos) left footed shot from the centre of the box is blocked. Assisted by Konstantinos Tsimikas. Goal! Olympiakos 4, F91 Dudelange 1. Danel Sinani (F91 Dudelange) left footed shot from outside the box to the bottom right corner. Assisted by Edisson Jordanov. Corner, Olympiakos. Conceded by Bryan Mélisse. Attempt saved. Mohamed Camara (Olympiakos) right footed shot from outside the box is saved in the bottom left corner. Attempt blocked. Daniel Podence (Olympiakos) right footed shot from the centre of the box is blocked. Assisted by Yaya Touré. Substitution, Olympiakos. Yaya Touré replaces Bibras Natcho. Substitution, F91 Dudelange. Leon Jensen replaces Marc-André Kruska. Milan Bisevac (F91 Dudelange) wins a free kick in the defensive half. Attempt saved. Pape Abou Cissé (Olympiakos) header from the centre of the box is saved in the bottom left corner. Assisted by Ioannis Fetfatzidis with a cross. Corner, Olympiakos. Conceded by Jerry Prempeh. Substitution, Olympiakos. Ahmed Hassan replaces Konstantinos Fortounis. Foul by Lazaros Christodoulopoulos (Olympiakos). David Turpel (F91 Dudelange) wins a free kick in the defensive half. Attempt missed. Bibras Natcho (Olympiakos) right footed shot from outside the box is close, but misses to the right. Assisted by Konstantinos Fortounis. Delay in match Bibras Natcho (Olympiakos) because of an injury. Tom Schnell (F91 Dudelange) is shown the yellow card for a bad foul. Bibras Natcho (Olympiakos) wins a free kick in the defensive half. Foul by Tom Schnell (F91 Dudelange). Vasilis Torosidis (Olympiakos) is shown the yellow card for a bad foul. Bryan Mélisse (F91 Dudelange) wins a free kick on the left wing. Attempt missed. Daniel Podence (Olympiakos) left footed shot from the centre of the box is too high. Ioannis Fetfatzidis (Olympiakos) wins a free kick on the right wing. Foul by Bryan Mélisse (F91 Dudelange). Second Half begins Olympiakos 4, F91 Dudelange 0. First Half ends, Olympiakos 4, F91 Dudelange 0. Attempt saved. Danel Sinani (F91 Dudelange) left footed shot from outside the box is saved in the bottom left corner. Corner, F91 Dudelange. Conceded by José Sá. David Turpel (F91 Dudelange) wins a free kick in the attacking half. Corner, F91 Dudelange. Conceded by Konstantinos Tsimikas. Attempt missed. Mohamed Camara (Olympiakos) right footed shot from outside the box is high and wide to the right. Assisted by Konstantinos Tsimikas. Attempt saved. Edisson Jordanov (F91 Dudelange) right footed shot from outside the box is saved in the top centre of the goal. Assisted by Milan Bisevac. Clement Couturier (F91 Dudelange) wins a free kick in the attacking half. Goal! Olympiakos 4, F91 Dudelange 0. Konstantinos Fortounis (Olympiakos) header from the centre of the box to the top right corner. Assisted by Daniel Podence with a cross. Attempt blocked. Daniel Podence (Olympiakos) left footed shot from the left side of the box is blocked. Attempt blocked. Ioannis Fetfatzidis (Olympiakos) left footed shot from the centre of the box is blocked. Substitution, Olympiakos. Ioannis Fetfatzidis replaces Nauel Mathias Leiva because of an injury. Delay in match Nauel Mathias Leiva (Olympiakos) because of an injury. Foul by Dominik Stolz (F91 Dudelange). Foul by Bibras Natcho (Olympiakos). Corner, Olympiakos. Conceded by Tom Schnell. Corner, Olympiakos. Conceded by Edisson Jordanov. David Turpel (F91 Dudelange) is shown the yellow card for a bad foul. Goal! Olympiakos 3, F91 Dudelange 0. Lazaros Christodoulopoulos (Olympiakos) right footed shot from the centre of the box to the bottom left corner. Assisted by Konstantinos Fortounis with a cross. Nauel Mathias Leiva (Olympiakos) wins a free kick on the right wing. Attempt blocked. Danel Sinani (F91 Dudelange) left footed shot from outside the box is blocked. Assisted by Marc-André Kruska. Attempt saved. Nauel Mathias Leiva (Olympiakos) right footed shot from outside the box is saved in the bottom left corner. Assisted by Lazaros Christodoulopoulos. Attempt blocked. Lazaros Christodoulopoulos (Olympiakos) right footed shot from outside the box is blocked. Assisted by Nauel Mathias Leiva. Attempt saved. Pape Abou Cissé (Olympiakos) header from the centre of the box is saved in the top centre of the goal. Assisted by Konstantinos Fortounis with a cross. Goal! Olympiakos 2, F91 Dudelange 0. Konstantinos Fortounis (Olympiakos) right footed shot from the right side of the box to the bottom left corner. Assisted by Konstantinos Tsimikas with a cross. Nauel Mathias Leiva (Olympiakos) wins a free kick in the defensive half. Dominik Stolz (F91 Dudelange) wins a free kick in the defensive half. Goal! 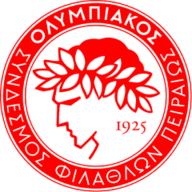 Olympiakos 1, F91 Dudelange 0. Vasilis Torosidis (Olympiakos) left footed shot from very close range to the bottom right corner. Assisted by Mohamed Camara following a corner. Attempt blocked. Mohamed Camara (Olympiakos) right footed shot from the left side of the box is blocked. Corner, Olympiakos. Conceded by Clement Couturier. Attempt blocked. Daniel Podence (Olympiakos) right footed shot from the centre of the box is blocked. 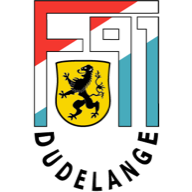 Offside, F91 Dudelange. Marc-André Kruska tries a through ball, but Danel Sinani is caught offside. Konstantinos Tsimikas (Olympiakos) wins a free kick on the left wing. Foul by Edisson Jordanov (F91 Dudelange).